The 2017 crop season has shown unreliable and partly extreme weather conditions and made the life for many malting barley farmers difficult. Related to these problems there is in most European countries a lot of sorting work to be done: to sort the harvested barley lots into good, acceptable and downgraded ones. Prices have been very volatile through the ups and downs in the weather and harvest reports – but as a conclusion, so far there is a lot of problems to handle and the balance in total is tight and depending on good sorting work and acceptance of divergent qualities. In our Viking Malt Countries we were on the lucky side this year as we just got the right conditions both in growing season and especially at harvest time – even if we partly get really late. The next year’s harvest is a new unwritten sheet. 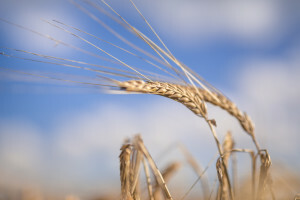 There will probably be a lot of malting barley in Scandinavia for the next harvest, not least because winter crops could not be drilled as planned or had bad starting conditions.